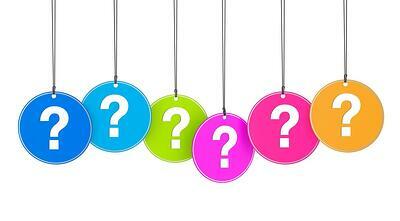 It goes without saying that asking questions is crucial to an effective sales process. Much has been written about the importance of questions, and there’s a ton of advice out there about the types of questions you should ask and how to ask them. You can even find lists of questions to ask. Books, like SPIN Selling, have been written on the sole topic of asking questions. (Good) Sales managers (and sales trainers) spend an inordinate amount of time working with their salespeople on asking better questions. Asking good questions is really, really important. Salespeople still mightily struggle with asking powerful questions. In my career, I’ve always had success making sales faster than most of my peers. My results here have been attributed to my ability to get at the crux of the issue with my prospect and to quickly reframe how they view their issues. And my use of questions is at the core of my ability to do that. The truth is that I don’t ask as many questions as many salespeople do; so I’ve realized that the number of questions isn’t the driver of success. I’ve learned that the key driver of success is the quality of the questions that are asked. More importantly, I’ve learned what the key attribute of a high quality (or what I call a resonating) question is. I’ve also learned that this attribute is the single, most important factor in predicting a positive outcome of a sale. Their Business and/or Situation In The Process of Answering The Question. When you ask questions that do this, you don’t have to ask that many questions. You’re also able to quickly and clearly separate yourself as a salesperson and your offerings from your competition. Additionally, quality questions create an environment that leads to a very high probability of success in your selling efforts. I’ve written this before (and I’m sure I will again) but if you don’t know and understand your prospects better than they know and understand themselves, then you won’t be in a position to influence them. Far too many salespeople show up and ask boring questions. They start their questions with small issues or topics where only the salesperson learns (like, “so...tell me about your company?”). A quality question is built on a fact or a data point that you know from insights the prospect has given you. These insights could come from previous conversations, information they’ve given on a web form, a quote you’ve read or more. As an example, I was recently working with a prospect in the technology space. I knew from research that I did that the company was in the process of moving from stand-alone products to more of a SaaS based approach. So as we talked about demand generation, I asked this question: I saw that you’re moving to a SaaS model and I’m curious what you’re doing to increase lead generation volumes to make up for lower up-front fees to ensure that you meet your financial objectives during the transition? My favorite statement in any selling environment is “tell me more.” When you’re selling you must remember that the first answer is rarely the real or valuable answer. Your job - and frankly the primary reason salespeople are necessary - is to interpret answers and dig deeper. Your goal should always be to uncover the cause or the rationale for whatever the answer is. As you dig deeper, you gain the opportunity to share your point-of-view and really educate your prospect with the context of their situation. This allows you far greater influence and success. I call this the “so what?” Answers are great...they may even be true...but do they matter? A highly effective salesperson always ties the answers of quality questions to the business outcomes that matter. Connecting the quality questions to quality answers and ultimately business outcomes creates a virtuous circle that shortens the sales cycle and protects your margins. By the way, the lesson of this blog post applies to both sellers and marketers. While sellers may be asking questions directly of their prospects, marketers should be provoking questions with their content. So take a look at the work on your plate for next week, apply these lessons and watch the momentum pick up.